(Brussels, September, 2018) European fintech company, Sofitto, today announced that its next-generation hardware wallet solution, the Sugi NFC Wallet Card, is now available for limited pre-order. With the Sugi Card, Sofitto’s mission is to make the everyday use of cryptocurrency simpler, without compromising security. The Sugi Card embeds blockchain technology so the card never reveals the private key. Instead, it keeps it secure with the dedicated chip, which is PIN protected. On-the-go cryptocurrency transactions will be made simply and quickly via the dedicated mobile app. Sofitto has released a limited number of Sugi Cards for pre-order on the European market, as part of the first phase of release, with delivery scheduled for mid-November 2018. The Sugi Card, a secure cryptocurrency hardware wallet that embeds blockchain technology and is remarkably easy to use, will also operate as a payment card in the future. It will be made to store Bitcoins (BTC), Ethereum (ETH), Litecoin (LTC) Bitcoin Cash, Ripple, and ERC20 tokens, with the company working on incorporating many more cryptocurrencies in the future. When ordering, there will also be the option to personalize the Sugi Card with the embossing of a chosen name or nickname, making it one of a kind. Cryptocurrencies have only been around for a short while. For a lot of people, this way of thinking about money can be confusing, and many have been left vulnerable to hacking, not knowing how to best protect their assets. Since the beginning of 2017, over USD 1.2 billion in cryptocurrency has been stolen, according to a recent report by the Anti-Phishing Working Group. Specialists have estimated that only about 20% of that sum has been restored to date. The reason for this has to do with how cryptocurrency is stored. The safest way to store cryptocurrency is offline, which can be done by simply printing out your private key. However, doing so places a lot of pressure on a simple piece of paper, which could easily be lost or destroyed. Furthermore, measures taken to ensure that slip of paper’s safety, like storing it in a safe or safety deposit box, can be a hassle and are themselves vulnerable to tampering. Hardware wallets – devices for storing cryptocurrencies offline – make cold storage convenient and much safer than paper wallets. This is because, if the device itself is damaged or lost, the owner can recover their private key by providing certain information to the manufacturer. However, day-to-day usability is restricted with typical hardware wallets because of the need to connect them to a computer. This is not a problem with Sofitto’s hardware cryptocurrency wallet, the Sugi Card, because it works in conjunction with a mobile app via NFC, which functions as a user interface for the wallet, meaning that there are no cables, no chargers, and no hassle. It’s easy and secure. Users never have to plug it in or recharge it and, contrary to hot wallets, private keys never leave the secure element of the card and are always kept offline. The Sugi Card is produced in line with the highest security standards in the European Union (ISO/IEC 14443). It is an easy to use, customizable device, which means you can have your name or nickname embossed directly on the card. This customization is unique to Sofitto’s Sugi Card – it is not possible with any other hardware wallets – and helps any user, regardless of how tech-savvy they are, ensure their assets are secure. 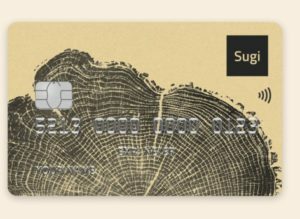 The Sugi Card looks just like any other payment card. The private keys stored in the Sugi Card are PIN protected and, right now, Sofitto is developing solutions to make it usable for purchases at any point of sale or for withdrawing money at any ATM. It works in conjunction with a mobile app, which functions as a user interface for the wallet. Sofitto has taken the necessary measures to help protect users’ assets and money. Even if you lose your Sugi Card, you will be able to recover your balance. Users are also completely protected from malicious attacks and hackers, while still enjoying the full-mobile experience to which they are accustomed. The Sugi Card will initially be offered as a personalizable limited edition to the EU market to be shipped out mid-November, with plans for a global release in the near future. With every pre-order, Sofitto is giving out a free limited-edition RF shielding card, which protects all NFC cards in your wallet from skimming. For more information please visit https://sofitto.com/ or https://sugi.io, or follow Sugi Card on Twitter.